Hello Charlee!! Thank you for visiting my blog. I hope you found something that blessed you. I will be sharing more soon on hearing the voice of God. You also keep up this great work! 🙂 have a great day! Thank you for stopping by as well. I look forward to your writings. Jesus had a virtuous and Holy Mother dedicated to His Life and Ministry. Supported by Joseph and the whole family they brought Jesus up and trained Him in the commandments of God. They followed Jesus when they could and worked with Jesus behind the scenes. Jesus Brother became a prominent leader of the church. Jesus is not recommending that believers neglect or abandon the natural family in preference of the spiritual family. 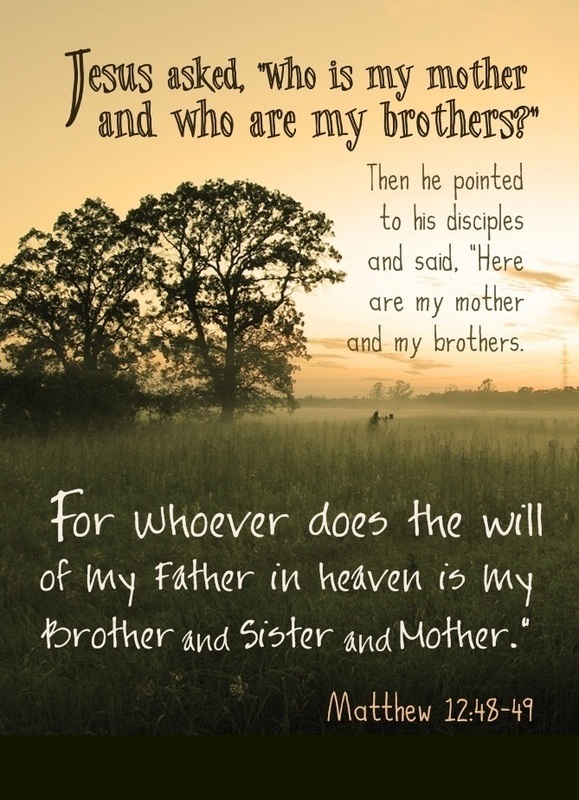 For Jesus’ family played an important role in raising and training Him in a Godly Way. This verse is misused to reinforce ‘a friend sticks closer than a brother’ concept to create confusion in church between families. Some pastors literary take over control of families to separate and dupe them based on this verse. There are family members if one had a choice perhaps one would not approve. Yet, there are equally church members worse than family members that get on people’s nerves. There is no perfect family whether earthly or spiritual. Jesus as Head of the church wanted same loyalty and dedication as His natural family. In the middle of a sermon it was not suitable to stop based on excuse for the sake of His family’s surprise visit, All His followers who believed including natural family were encouraged as Godly family to fellowship together. 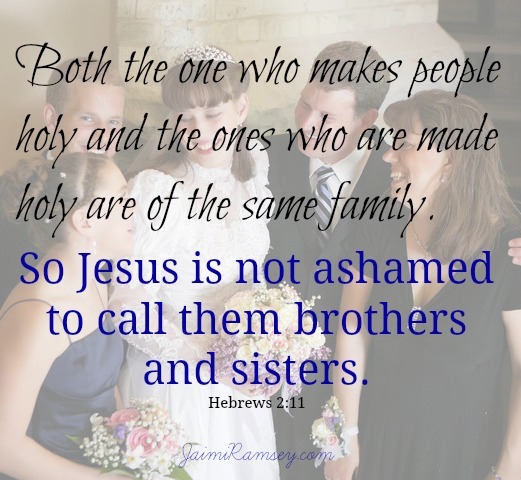 Jesus communed directly with Father God but was still in tune with His earthly family too.Jesus did not cut them off to exclude them because they continued with Apostles and disciples after Jesus departed into Heaven. Thank you for following Godshotspot.wordpress.com. Have a Blessed Christmas. God bless you. Thank you for your commentary and input on such a delicate and important issue.